Business Description: TAICANG ZHONGBO RAILWAY FASTENING is a leading manufacturer and supplier of rail fastening in China. We are dedicated on supplying better and better quality rail fastenings to the world railroad, and contributing to availability of more safe and convenient transits. Zhongbo factory, the current place, is located in Shaxi Industry Park, Taicang, Jiangsu Province, east of China. The site is about 23,000 square meters. 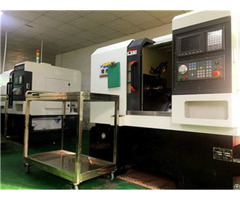 There are 200 staff in the site, of which, there are about 12 technical staff, and 110 junior and senior skilled workers, for testing and production facilities, there are more than 260 sets. Total assets is about 38 million USD, annual turnover about 55 million USD. The annual production capability is 36,000 tons, including rail fastenings, all kinds of railway bolts and screw spikes etc. ZHONGBO is certificated with ISO 9001:2008 through SGS audit, ISO 14001:2004, and also certificated by China Railway Product Testing and Certification Center-CRCC as well. The company is evaluated through DUNS, Ecovadis, BSCI. 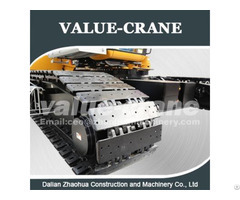 Our products are also approved by world class railroad companies, such as UPRR, BNSF, SBB, SRT, PNR, MTR etc. There is also a professional R&D team in ZHONGBO. There are 2 senior national class engineers, 3 engineers and 7 assist engineers, they are working hard on R&D and improvement of rail fastenings for each field. We are already awarded 40 patents on metro railway fastening system, tramway fastening systems, and performed widely. We are also the testing base of Southwest Jiaotong University regarding to rail fastening systems; we also cooperate with Shanghai Tongji University regarding the research and development about vibrating reduction, wave friction reduction to rail tracks fields and award several leading results.